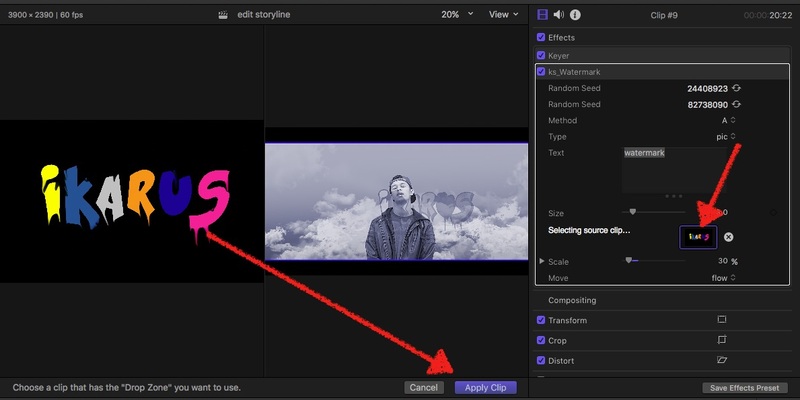 This free plugin adds a moving watermark to any clip. • Move allows to select a flowing movement or a ‘jumpy’ watermark. 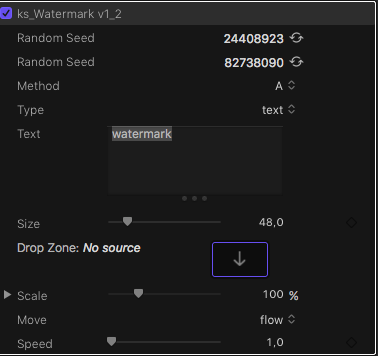 If you like the Watermark across your whole project, add an Adjustment layer and apply this effect to it. What exactly is the random seed controlling? so, clicking those circle-arrows creates a new so-called seed-number to ignite the generator which creates erratic numbers, to create a diff. 'randomness' = which results in different movement-patterns. I know what "random seed" does, I wasn't clear what parameter it was effecting. So there's two in your plugin, for X and Y movement independently. Got it. … So there's two in your plugin, for X and Y movement independently. Got it. ahh, and now I got it, what you're asking for. Sorry! I would be happy to try it out, but until now I can't make it work in my FCP. I attached a screenshot. It doesn't load and it shows no parameters in the inspector. If it's not too much trouble for you, could you look at it? Maybe you'll know why it doesn't work. … It doesn't load and it shows no parameters in the inspector. OK, have you followed advice, given by MotionMasterMind Simon Ubsdell? 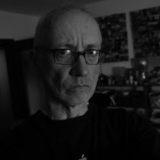 … and: my plugins usually demand the latest version of FCPX… you're on v10.4? I had to switch off for a while and now I'm finally free to come back to FCP. As it turns out, the problem was my version of FCP. After upgrading it everything works flawlessly.